Asylum Research, a premier manufacturer of atomic force microscopes (AFMs), has announced its collaboration with Professor Ricardo Garcia’s lab in the Institute of Microelectronics of Madrid to further develop new techniques in the field of AFM cantilever dynamics, focusing on higher harmonic and multiple frequency measurement modes. 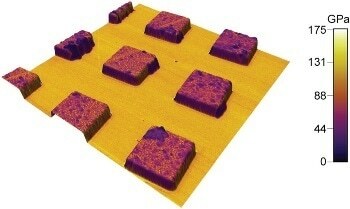 The collaboration involves Asylum Research licensing intellectual property from the Spanish Council for Scientific Research (CSIC) and the joint development of advanced imaging techniques that allow new surface characterization of a variety of materials. 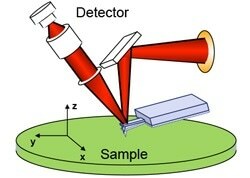 ultiple frequency imaging techniques have been pioneered in the Garcia lab and with the Asylum Research MFP-3D AFM using patent-pending Dual AC Mode. In Dual AC, the cantilever is driven at two or more frequencies. The cantilever motion is then analyzed by the advanced MFP-3D digital controller. The amplitude, phase and other mechanical parameters can be displayed, saved, combined with other signals, and used in user-selected feedback loops. In comparison to ordinary AC mode data, Dual AC data shows increased contrast over a much wider range of imaging parameters and provides information on the frequency dependent mechanical properties of a surface. Alpha testing of Dual AC software has been very productive with publications submitted to prominent journals by various researchers. The beta release will occur on June 15th with an expected release version due later in the summer.